Stewart R: And it's off to BOOM! town for the new comic book material this week! With Memetic we're promised three oversized, 48 page chapters detailing the downfall of civilised society thanks to a single, solitary image that ends up circumnavigating the globe and spelling doom for mankind. James Tynion IV didn't manage to trap me with his current ongoing series for BOOM!, The Woods, but I'm hopeful that this miniseries could be a real winner and though obviously delightful fiction, the premise is one of those that has you pondering on what could possibly happen in these technology and social media heavy days. There's spread of another modern kind in my pull-list this week and that comes in the shape of the genetically modified plot of Matt Hawkins and Linda Sejic's Wildfire #4. While the second issue very nearly lost me the third brought me back in as Hawkins focused a little more on the US government's reactions to the threat posed by the encroaching flora that has decimated much of Los Angeles and now looks poised to drift further across the country. I do enjoy the way that this skilled writer embraces issues of our time, that affect our day-to-day lives in some real way whether we know it or not, looks at their current sphere of influence and also the potential paths which we as a society and species could be led down in the not too distant future. 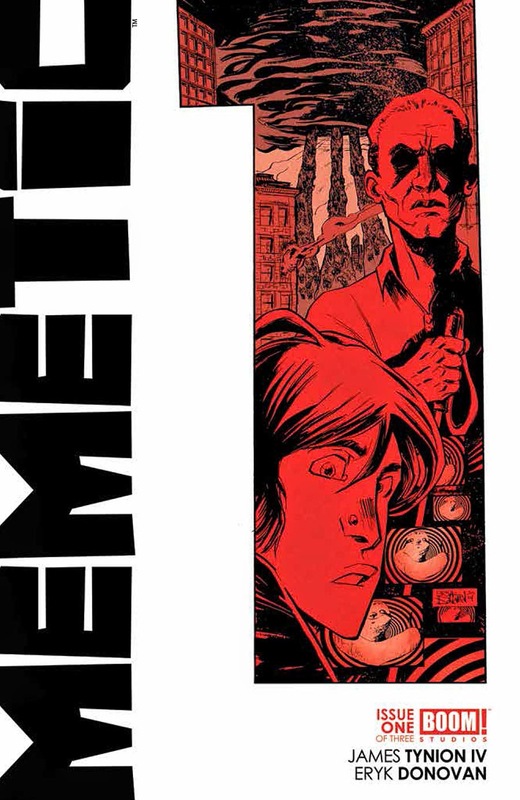 Matt C: I may well give Memetic a look too but for me this week is mostly about more established series, such as Lazarus, Avengers and Letter #44. We've also got the finale of Mark Millar's Starlight to look forward to, and with a script for a movie adaptation being worked on (hey, it's Millar, what else would you expect?) I do hope Millar has come up with a satisfying conclusion to what has been a rather great little miniseries. I also notice that the Zenith: Phase One hardcover is appearing on Wednesday, and as someone who missed Grant Morrison's acclaimed superhero saga the first time around I am curious to see if it will hold up to contemporary scrutiny without any nostalgic bias. That may be one to save up for then!